Live, local and good laughs. 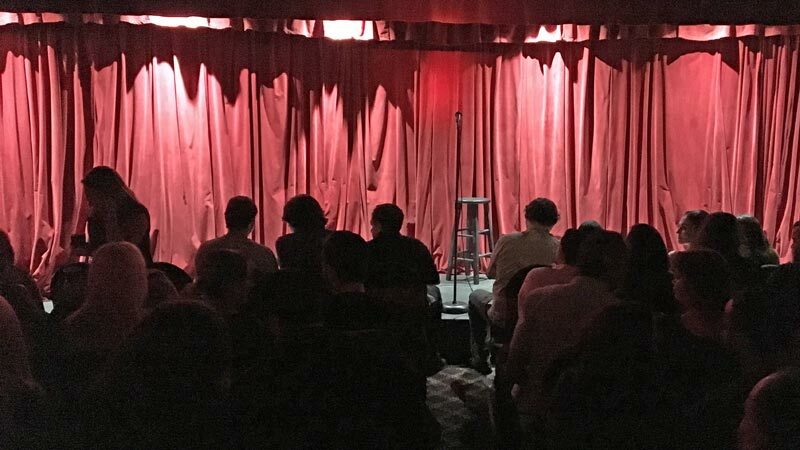 If you want world-class comedy, it can be found at Palmetto Bay’s The Comedy Inn. But you have to be an inn-sider to know what’s coming up. Run like a secret society, The Comedy Inn is keenly crafted by founder Mike Levine, the son of the family who has owned the Quality Inn hotel at 14501 S. Dixie Highway since 1972. It started eight years ago with a raised triangle of plywood and a mic in the corner of the rarely used hotel conference room. “Those are memories of when my Dad said I was crazy,” explained Mike Levine. “It’s been such an awesome ride over the past eight years. Some of the best comedians in the world have touched our stage.” Indeed, nationally-recognized jokers such as Carlos Mencia have graced the now fully-professional stage. 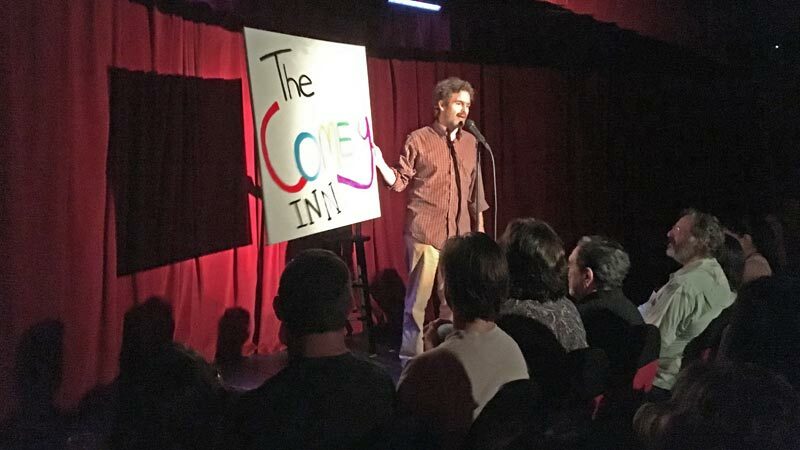 Fittingly, on 4/20, The Comedy Inn threw itself an eighth anniversary party. The intimate room hosted all local comedians, including the ever-improving MC David Stebbins. Yours truly brought 12 friends to the anniversary show and we all laughed like crazy. I’m proud to have found this inn-credible place so early in its existence. I inn-courage you to become an inn-sider by getting on their mailing list (it’s the only way to find out about their shows). Shows are approximately monthly. There is no drink minimum and you’ll love the experience. Full info can be found at www.comedyinn.com. They also are on Facebook and Inn-stagram.